The Business Model Canvas is a visual way of presenting the nine building blocks of a business model. 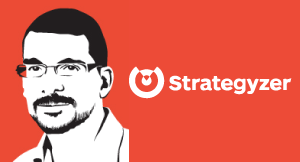 Alex Osterwalder talks about the Business Model Canvas being a common language and approach to mapping out a company's or organization's business model. It can be used to manage, or review an existing business model, or define a new one. The Business Model Canvas is our way of visually representing business models with nine questions; nine building blocks. And the reason we came up with this together with Yves Pigneur, long time ago in a Ph.D. dissertation, we wanted to figure out at shared language, practical language that executives and entrepreneurs could use to describe their business model. And this was the result and it’s now tested with millions, literally millions of people and it helps them a lot to describe their business models, to collaborate on business models and to test business models. I think there is no one right way to use it, we did just recently a blog post on 14 ways to use the Business Model Canvas, because it’s such a broad tool that allows you to think about your business model. You can use it to manage your existing business model. You can use it to create new business models you can use it as a dashboard. So there are many different ways and we do now know in particular areas how you can use it, but overall you can use it in very many areas because any organisation who has a business model, so every kind of function you have in a business will have to deal with the business model in one way or another.